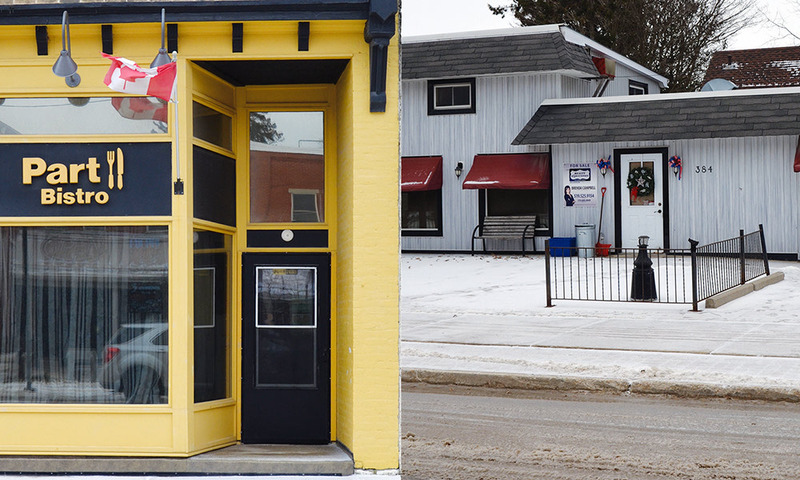 Blyth’s main street has taken some significant steps forward with businesses moving and opening over the last several years, however at the start of 2019, the community’s culinary offerings have been reduced. At the end of 2018, Blyth’s restaurant stock shrunk by two with the Blyth Corner Café closing its doors and Part II Bistro’s Blyth location switching to a catering-only site. Tracy Cook, owner of the Blyth Corner Cafe, explained that one of her staff members had to take some time off for medical reasons and she couldn’t afford another wage to cover the extra hours. She began considering closing in late November, before closing the shop permanently on Dec. 24. The site has been for sale for some time, and there has been some interest, she said, and hopes that there will be more now that it’s more of a “blank slate” and not an operational business. Cook has been at the site for 13 and a half years, and is now looking forward to a vacation, which she left for earlier this week. Peter Gusso of the Part II Bistro explained that, with business at the Blyth location lagging behind its now one-year-old Goderich location, he and his wife Sarah made the difficult decision to focus on catering out of the main-street business. He said that, with the increase of the business in Goderich, with a larger population base, it was a better fit to keep it open and focus on catering at the Blyth location. The change is going to allow him to focus more on family. While the restaurant business may not be what it once was in Blyth, catering opportunities have gone the other way, Gusso said. “There are more and more businesses opening up that need catering,” he said, pointing to the Four Winds Barn in Brussels and Dark Horse Winery as recent customers. While the main street site may not be the family’s restaurant any longer, Gusso said it may find new life as a commercial site. He said he needs the kitchen and basement for catering, but said that he would consider sub-leasing what was the dining portion of the store. Because he still uses the site, Gusso said that he wouldn’t be looking for a year-long commitment, saying if someone wanted to open up for Blyth’s “busy season”, that could work. Gusso said he would also continue with other community efforts he has worked on, pointing to cooking lessons he co-hosted at Greyhaven Gardens and events like the Listowel Curling Club’s ladies’ bonspiel he recently catered. People looking to contact Gusso can still do so at the same number (226-523-3663).